For most of the season, the Eagles have been living their own version of the movie “Groundhog Day”. But unfortunately, their 2016 campaign did not include Bill Murray or Chris Elliott, and did not provide any comic relief either. So often, their “gamedays” followed the same path – a close game in the 4th quarter with a chance to win it, yet the Eagles constantly ended up falling short. The Baltimore game two weeks ago looked like it could be the one to end their groundhog day “funk”, but a tipped pass on the 2-pt. conversion spelled doomed, and the Eagles must have felt like they had, once again, woken up the next morning to Sonny & Cher’s hit “I Got You Babe”. But even Bill Murray finally woke up to a different outcome, as did the Eagles after beating the Giants last Thursday night, 24-19, in the penultimate game of the season that only delayed the Giants invite to the all-important playoff party. But while the Birds being left off the guest list was sealed before that, the win at least broke the hex that they could not win a close game at the end. Lose that game, and that feeling would have lingered into the cold, dark offseason. Instead, the Birds have something to build on going into 2017. This week the Birds will end their season at home, on New Years’ Day no less, against the hated Dallas Cowboys. Normally, the Cowboys game is always a big game at home, no matter the records of either team, but this year will be different. If the Eagles 3-0 start had actually lead to something, Philadelphia might have had reason to hold their own “GOP” (grand old party) in anticipation of an Eagles victory and possible playoff appearance. Instead, the Cowboys will be marching out some of their “Junior Varsity” team, while the Mummers will concurrently be marching down Broad Street. The Mummers string bands will be performing while the Eagles will be merely playing out the string. One should expect a lot of “backups” in this game – both on the field and in the porta-potty lines outside from all the alcohol being consumed. And things could get ugly in the stands as well, especially if a lot of Cowboys fans show up in their jerseys. Speaking of Dallas fans, all the “Romo-sexuals” should be happy, since it looks likely that their boy, Tony Romo, will come off the sideline and see his shadow for the first time on the playing field. But I guess we really shouldn’t be surprised that this final game is meaningless. Going back the last twenty years, based on the crack staff research team here at “As Broad & Pattison Turns”, the final regular season game means absolutely nothing 70% of the time. How did I come up with 70%? In the last twenty years, the Eagles have failed to make the playoffs in nine of the last twenty years (45% of the time). In all nine of those seasons, the Eagles playoff fate was sealed before the last game of the season was played. As for predictions, the Eagles should win just based on the fact that Dallas will be resting some of their starters. But while a 7-9 record is not a bad start to a rebuild, let’s not kid ourselves – this team needs a lot of help in many areas. This franchise that once went to four straight NFC Championships not so long ago (2001-2004) hasn’t won a playoff game in eight years….a fact that is not lost on this fan base. End their losing streak at the Linc? Would the fans come out to watch this wretched team? Perhaps free tickets and a good tailgate, the only reason. Would help to anchor a depleted offensive line. Who could actually stretch the field. Had Birds fans constantly reaching for their Mylanta. Can actually keep Victor Cruz from salsa dancing? Will this Thursday night be any different? 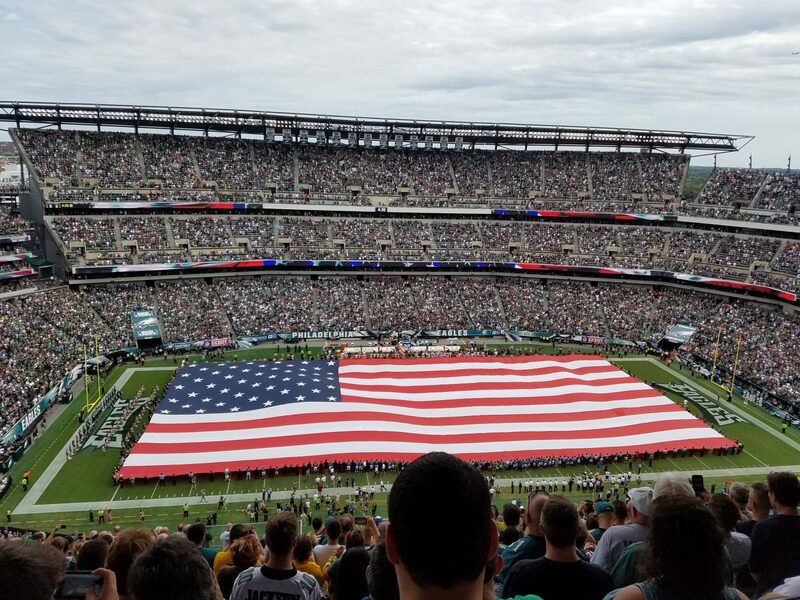 If you happened to be living in a cave over the last few months and had no clue how the Eagles were doing, last Sunday’s game was the perfect microcosm of what had taken place this season. There were flashes of greatness by their rookie quarterback, coupled with shoddy tackling by their defense and plenty of missed opportunities. It was another game where the Eagles played well enough to win, but bad enough to lose it as well, which is precisely what they did. Much like the cold, harsh reality of winter has arrived complete with snow, sleet, and freezing rain, the cold, harsh reality that this is nothing more than a rebuilding year has also set in for your beloved Birds, and their 3-0 start now seems like it took place in some parallel universe that only exists in one of M. Night Shyamalan’s movies. Sure, the Eagles can still mathematically make the playoffs, but it would take a calculus professor from MIT to figure out exactly how, and a major miracle for it to actually come to fruition. No, the last three games will be all about showing improvement and ending the season on a good note, while at the same time, possibly giving playing time to some of the younger players to see how they respond in live game action. “Well Doug-E you’ve got to let me know, should he stay or should he go”? If Howie’s singing ability is on par with his draft picks, then a mediocre voice is to be expected, but that’s another issue entirely. The bigger issue is, who does really stay and who does go? The one positive for Eagles fans (if you can call it that), is that all three of the Birds remaining games are meaningful ones…at least for their opponents. Both the Ravens and the Giants the next two weeks, and possibly the Cowboys as well in the last game of the season, are vying for a playoff spot or playoff positioning, so they will be trying to win at all costs. Even though the Eagles reaching the playoffs is as likely as the Easter Bunny leading Santa’s reindeer, they will end the season with a chance to knock some of their fellow NFL brethen out of the playoffs, in the never coveted “spoiler” role. That task begins this Sunday, when the Eagles face the Ravens down at M&T Bank Stadium. It would have been nice if Baltimore had actually beaten the Patriots last week and maybe, just maybe, would have had a letdown against us before they face the Steelers on the road next week on Christmas Day. But of course, the Patriots made our lives harder once again (just like they did by cheating in the Super Bowl in 2004… but who’s counting?) by winning and keeping the Ravens in desperation mode. Baltimore sits at 7-6, which is one game behind Denver & Miami for the last wild-card spot and also one game behind the Steelers for the lead in the AFC North. For the Eagles, going into Baltimore may be the equivalent of trying to remove a hornet’s nest without having any of the prior spray or equipment…this game could get ugly. I think the Birds will stay with the Ravens for the first half, but by the time the 3rd quarter ends, you may be focused on that Christmas shopping you’ve been procrastinating about.